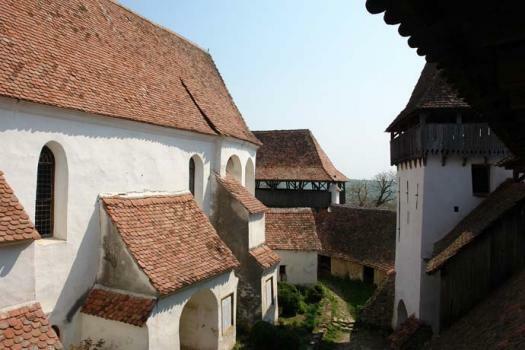 On the top of a panoramic hill stands the Fortified Saxon Church of Viscri, one of the most picturesque churches of Transylvania. 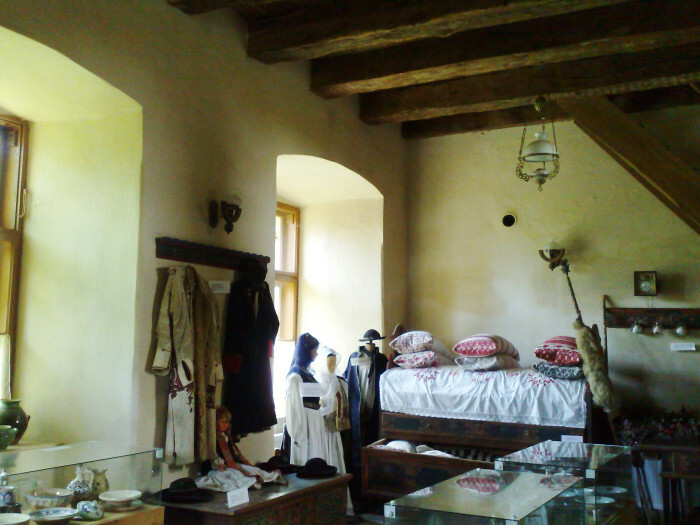 The historical setting of the structure awaits its visitors to narrate the centuries of existence lived in a community of Saxons came here from the distant regions of the Rhine and Moselle for the order of King Béla II of Hungary during the 12th century. 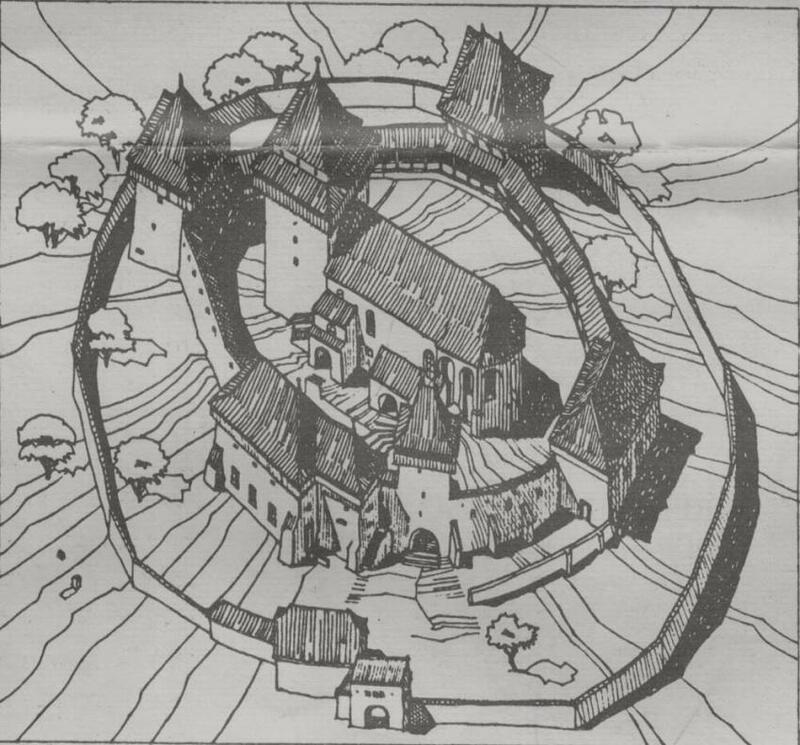 On the place of the fortified church, in the 12th century, there was a chapel without tower built by the Székelys, with the circular apse oriented to the east and surrounded by a moat of land specifically for Bjelo-Brdo culture. Like all fortified churches, the church of Viscri is specifically dedicated to religious worship and the military defence of the community. 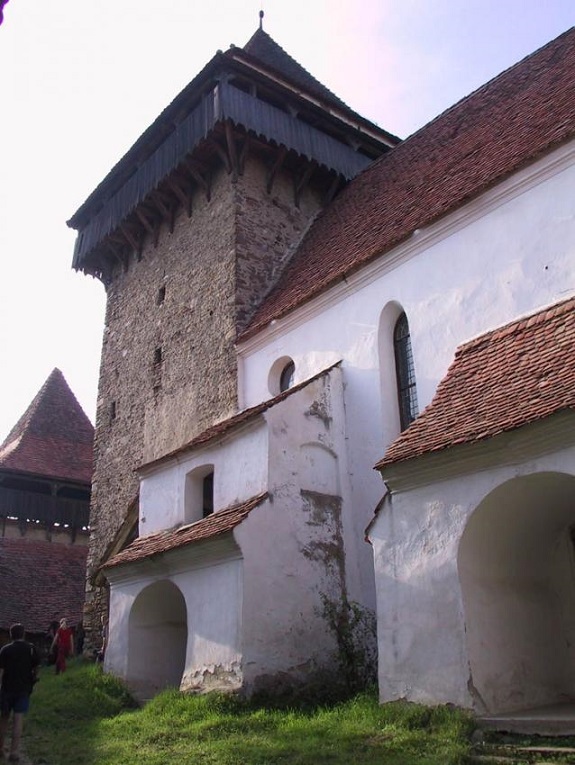 Given the great number of invasions in the Middle Ages, Transylvania has more than 200 fortified churches with an architecture adapted to the needs of the war. The architectural complex consists of the fortified church and by two fences of defense, of which only one has passed the test of time. The church consists of a trapezoidal nave, disposed on two levels. 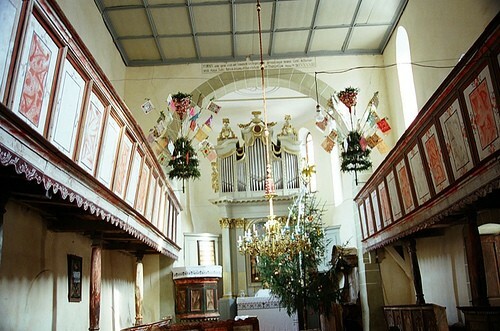 The access in the church is realized on the south side while the altar is oriented to the east, dominated by a picture signed by Pankratz, a painter of Rupea, containing the image "Let the children come to me". The main attraction of the church is the baptism jar, made from a stone of a Roman capital of the 13th century positioned on a column belonging to the former chapel of the 12th century. 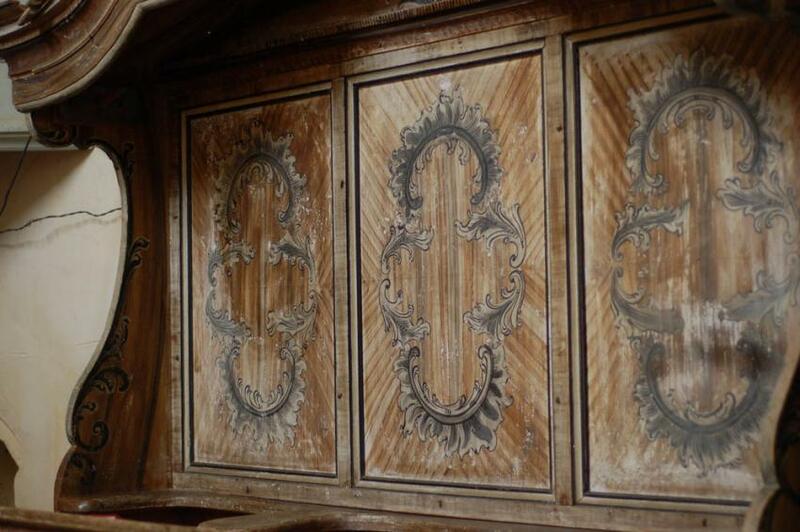 The walls and furniture are painted according to the traditions of the place, while the pulpit canopy is circumscribed to a popular Baroque style of 1791. 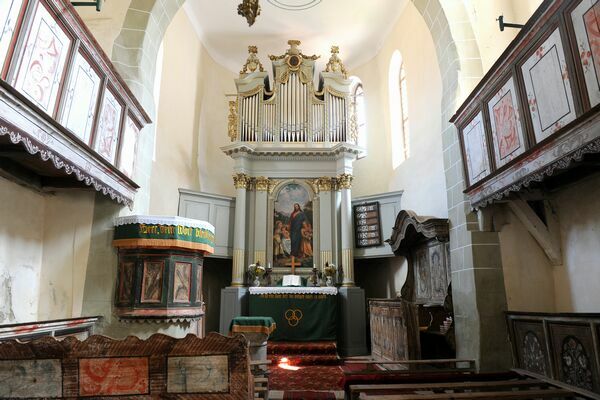 The organ was installed above the altar in 1723 and it was purchased for 145 guilders. 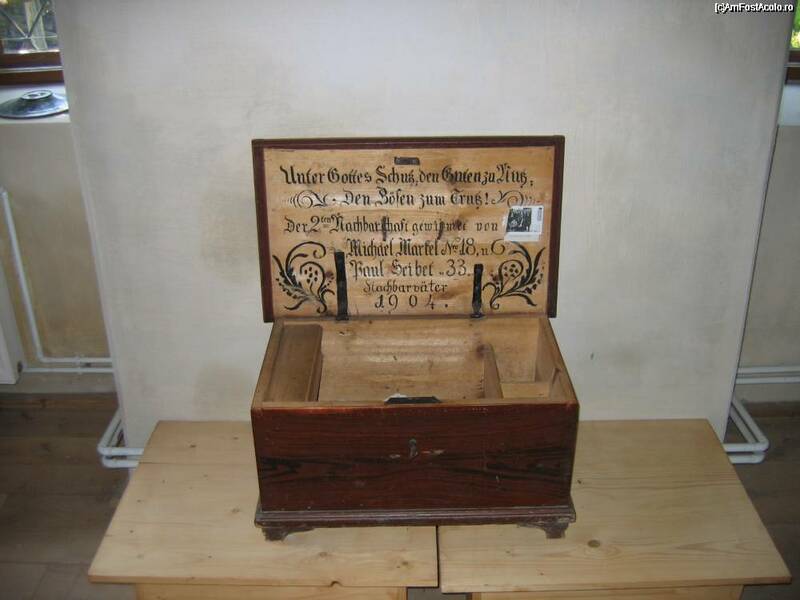 There is also a museum with many interesting objects that reveals aspects of the Saxons community life in Viscri, such as clothes, chests of craftsmen with various tools, furniture, and many other stories. And according to the customs of those times it could not miss the room of lard, an ancient custom of the Saxons who worked until the '90s. 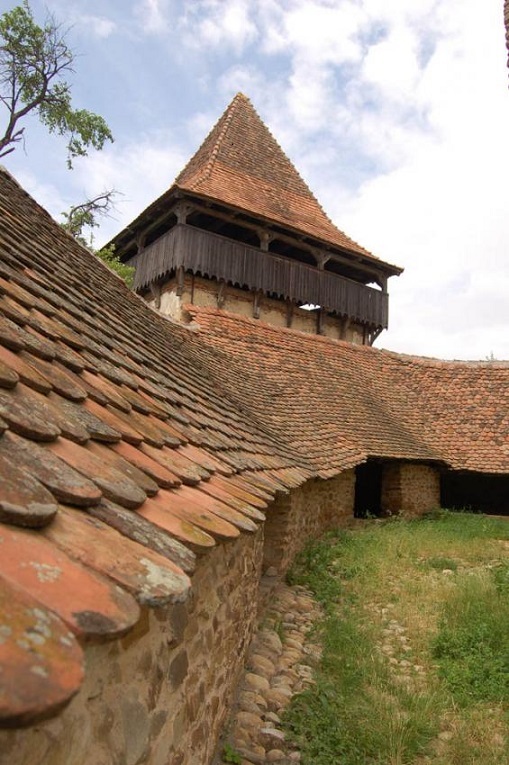 Since 1999, the fortified church of Viscri, along with the village Viscri, was included on the list of UNESCO monuments, such as "fortified churches of Transylvania", making it a special destination to visit in the heart of Transylvania.